Although it is disappointing that we cannot yet read the message brought back by a brave carrier pigeon, it is a tribute to the skills of the wartime code-makers that, despite working under severe pressure, they devised a code that was undecipherable both then and now. Code breakers believe there are at least two possibilities for how the message was encrypted, and why it’s so hard to decrypt. It may be based on a “onetime pad” that uses a random set of letters (known only to the sender and the recipient) or on a now probably destroyed code book designed specifically for a single operation or mission. 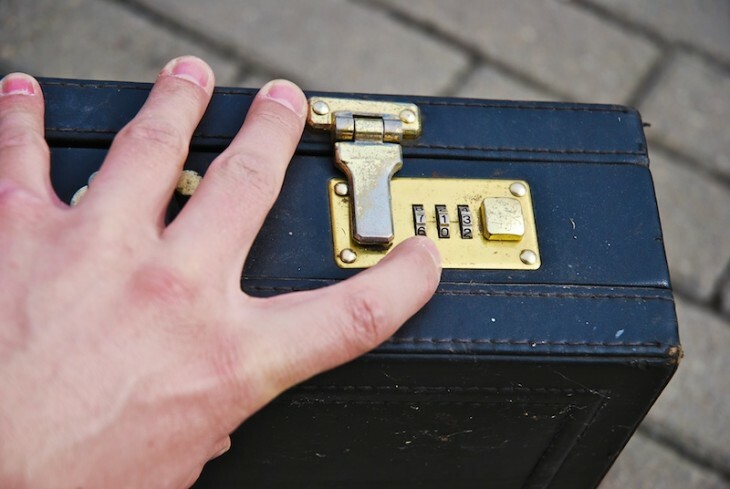 The GCHQ received the code at the beginning of the month, but on Friday acknowledged it was stumped. The intelligence agency is hoping to make progress after receiving more information about the circumstances from the public. Pigeon specialists believe the pigeon may have been flying home from British units in France around the time of the D-Day Normandy landings in 1944, but more context may be required to help solve the case. The message in question was found on the leg of a long-dead carrier pigeon by David Martin when he was renovating his household chimney in Surrey, England. 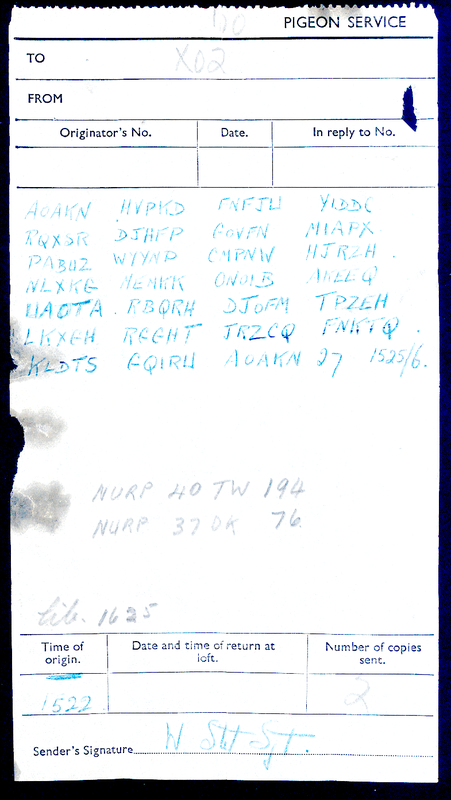 Attached to the leg was a red canister, inside of which was a thin piece of paper with the words “Pigeon Service” at the top and 27 handwritten blocks of code. The code’s text follows; can you figure it out?